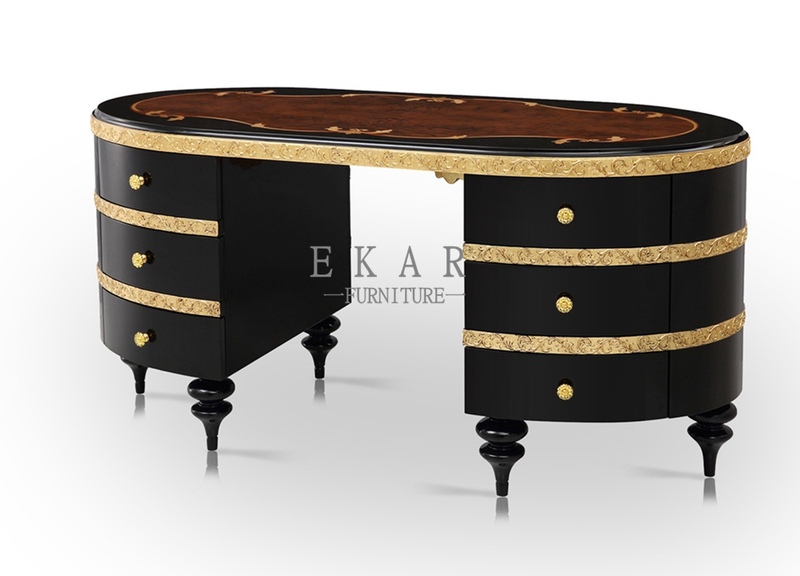 This luxury black and gold home office table is made of birch wood. 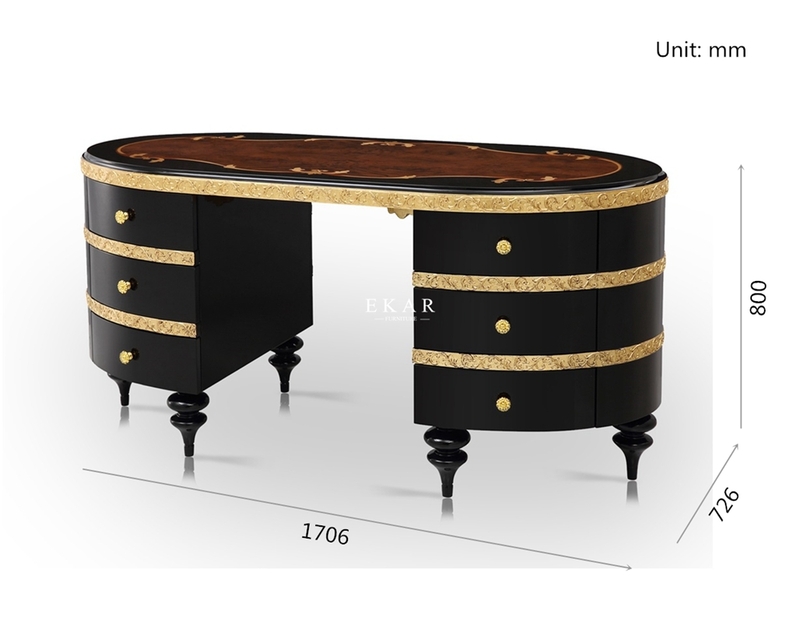 The table top use the natural wood veneer hand stitching pattern for the bottom embryo, and with piano lacquer finish. 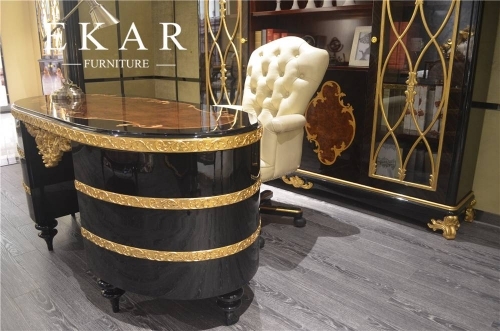 It looks more texture, three-dimensional and luxurious, the surface is bright as a mirror. 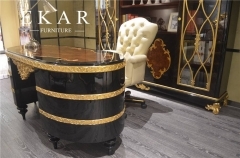 Adopting the gold foil crafts, add a sense of luxury to your office room.